A worthwhile lecture from Denise Dresser profiling the three main presidential candidates in Mexico. 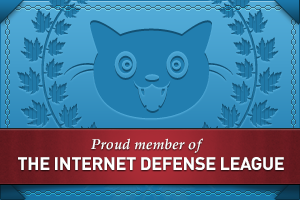 Thanks to Xipactli who shared this link with me. Here is a link to my latest article on AQBlog, titled “The Path of #YoSoy132“, published on June. 27th, 2012. Please feel free to visit and comment. Here is a verbatim copy of it in case you prefer to read it on my personal blog, though I recommend actually going to the site because of additional content, other blogger’s articles, etc. #YoSoy132 has been called many things: “the voice of a new generation;” “the Mexican Spring;” and “young people manipulated by the PRD [Partido de la Revolución Democrática, or Party of the Democratic Revolution]” are just a few. Whatever its true nature, this youth movement has left a new mark on electoral processes in Mexico—one which could shape not only the outcome but the aftermath of the 2012 Mexican elections next Sunday. It all began on May 11 when Enrique Peña Nieto, presidential candidate of the Partido Revolucionario Institucional (Institutional Revolutionary Party—PRI), belittled a group of student protesters that had gathered at the Universidad Iberoamericana to repudiate his presence there. Peña Nieto called them a small group of rabble-rousers, accused them of not being actual students and minimized their protest to opposition made up of only 131 people. This led to the students uploading a YouTube video showing their university IDs and claiming that their cause was shared by many more young people. 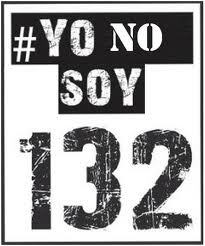 The video went viral and the story spiraled into Twitter via the hashtag #YoSoy132 (“I Am 132”). Without a cohesive agenda or clarity with regards to what “being 132” really meant, people sympathized with the students and began retweeting that they too were 132. A series of strange events followed, making the nature of the movement even less clear and more confusing. Initially, it seemed that the movement’s sole purpose was to demand objective coverage from the largest television news outlet in the country, which allegedly has given favorable coverage to Peña Nieto’s candidacy. However, allegiance to PRD presidential candidate Andrés Manuel López Obrador (AMLO) from some of the movement’s leaders despite being a nonpartisan movement, an inconsistent rhetoric of formally campaigning against Peña Nieto while calling for media objectivity, and conflicting messages from its members have left most Mexicans wondering what it actually means to state that Yo Soy 132. Students attempted to organize; they took to the streets and demanded that the second presidential debate be broadcast over the main TV channels; they held an assembly in order to look for an aligned, common vision. Judging from their concluding declaration and the following fallout of rogue mini-groups, they failed at this objective—but the movement continued to grow in a somewhat chaotic manner. #YoSoy132 was even able to hold a presidential debate on June 19 with an innovative format and the use of internet to connect different students from their homes to pitch questions to candidates. Playing it safe, Peña Nieto declined the invitation to participate. Recently, the hacktivist group Anonymous, through its Mexico branch, published a video which calls out the federal electoral authority—Institudo Federal Electoral (IFE)—of apparent intention to manipulate the final voting tally in favor of Peña Nieto. The “preparation for fraud” discourse has been heightened not only by Anonymous, but coincidentally by #YoSoy132 and by AMLO himself. While #YoSoy132 has been threatening that “Si hay imposición habrá revolución” (if there is imposition there will be a revolution), López Obrador has stated that he knows that the PRI is preparing a fraud but his team will be more vigilant to prevent it, similar to his accusations six years ago when he was the presidential runner-up to Felipe Calderón. To make matters more worrisome, the Ejército Popular Revolucionario (Popular Revolutionary Army—EPR) guerrilla group has recently applauded #YoSoy132 and stated that they would take AMLO at his word and support taking arms in order to avoid “a neoliberal candidate” seizing power. For the sake of any functional democratic state, electoral fraud must be avoided. A system of checks and balances which is actually built in to the Mexican democratic system—including observers and scrutinizers, exit polls, citizen participation in the actual vote counting, and other mechanisms—seems to be insufficient. And while one should not be disingenuous and think that that these mechanisms fully prevent fraudulent practices from taking place from any candidate, a bigger danger is now present: What if #YoSoy132, Anonymous, EPR and others simply don’t like the outcome of the election because their choice did not come out on top, fraud or no fraud? What if Peña Nieto actually and fairly wins but AMLO, as in 2006, does not recognize defeat? In the first weeks of #YoSoy132 emerging, people started comparing the movement to the Arab Spring and specifically the Egyptian deposition of Hosni Mubarak. While there is simply no comparison between the Mubarak regime and Mexico’s current political and institutional reality, there is one thing in common: Whenever a grassroots movement with no clear agenda, vision, values, or follow-through plan is able to cluster different groups together in order to eliminate or threaten a common enemy, it may be effective in damaging or removing the unwanted player from the mix—but dangerously ineffective in providing a long-term outcome which benefits all those who pulled together. Given the current state of Egypt, Mexicans should learn from this example. Today, apparently #YoSoy132 means “I don’t want Peña Nieto to win”—but for different reasons. Some support the group because they feel traditional media should not be biased. Others like it because they want AMLO to be the next president. A few think that they support Josefina Vázquez Mota, candidate of the incumbent Partido Acción Nacional (National Action Party—PAN) by saying they are 132. Anonymous seems to want the IFE to be impartial and EPR says that being 132 means taking arms and not supporting the world’s predominant economic model. Some consider being 132 good and active citizenship; others a call to arms against the establishment. While I applaud the awakened spirit of youth taking a more active role in this election and hope this will mean a larger young voter turnout than what was projected prior to the movement, as long as there is no consensus about what being 132 means, Yo No Soy 132 and I hope for avoidance of post-electoral violence, no matter who Mexico elects as its president this Sunday. Ayer lo vi en el cine… neta me sacó una lágrima. Te quiero, México. Tengo mucho más que decir al respecto y estoy seguro que ustedes también. Independientemente del candidato o candidata, creo que vale la pena que quienes tenemos acceso a información y capacidad de discernir, lo hagamos. De esta manera podremos dormir tranquilos el 1ero de julio después de haber ejercido nuestro derecho y obligación de votar. Viva México y quienes lo queremos. NOTA PUBLICADA HOY EN ELNORTE.COM, comentarios personales entre corchetes. Cd. de México (1 de junio 2012).- Los siete grupos parlamentarios que integran la Cámara de Diputados [No el PRI, no el PAN, no el PRD. TODOS] se repartieron un regalo de fin de legislatura por 230.3 millones de pesos, cuya distribución en cada una de las bancadas se hará a discreción. De esta bolsa, al PRI, como partido mayoritario, le tocarán 98.5 millones de pesos; al PAN 60.5, al PRD 32, al Partido Verde 14, al PT 10.3, al Panal 7.7 y a Movimiento Ciudadano 7.3 millones. El monto de 230.3 millones es una asignación extra integrada a las partidas de “subvenciones”, fijas y variables, que se dan a los partidos políticos y cuya comprobación de gasto se hace sólo con la firma del coordinador parlamentario, o quien él designe, sin que tengan la obligación de justificar en qué se gastaron los recursos [QUE HUEVOTES, ¿NO?]. En este caso, el argumento para entregar los recursos fue que se necesitaba apoyar las “labores legislativas” [¿CUALES?] de las bancadas , cuando ya no hay actividad parlamentaria en la Cámara baja, y para saldar el finiquito de los trabajadores de cada fracción. El coordinador de los diputados del PAN, Carlos Alberto Pérez Cuevas, señaló que ignoraba la aplicación de los montos entregados a su fracción porque tomó el cargo a fines de abril, y la autorización de los mismos se hizo en febrero y marzo, cuando el coordinador era Francisco Ramírez Acuña. “Sobre cuántos empleados se van o no se van, ese es un tema de mayor detalle, (por) que todavía no ha acabado la Legislatura”, manifestó. Cuestionado sobre el tema, el vicecoordinador del PRI, José Ramón Martel, dijo desconocer el destino del dinero y cuántos empleados hay en su fracción. “No te puedo contestar en cuanto a datos específicos del número del personal, no soy el director de personal de la Cámara, no soy el administrativo de mi fracción”, dijo. Heliodoro Díaz, Diputado del PRI e integrante del Comité de Administración, explicó que la referencia a atender pasivos labores en las bancadas se refiere a los finiquitos del personal que durante los tres años laboró para cada fracción parlamentaria.